1. 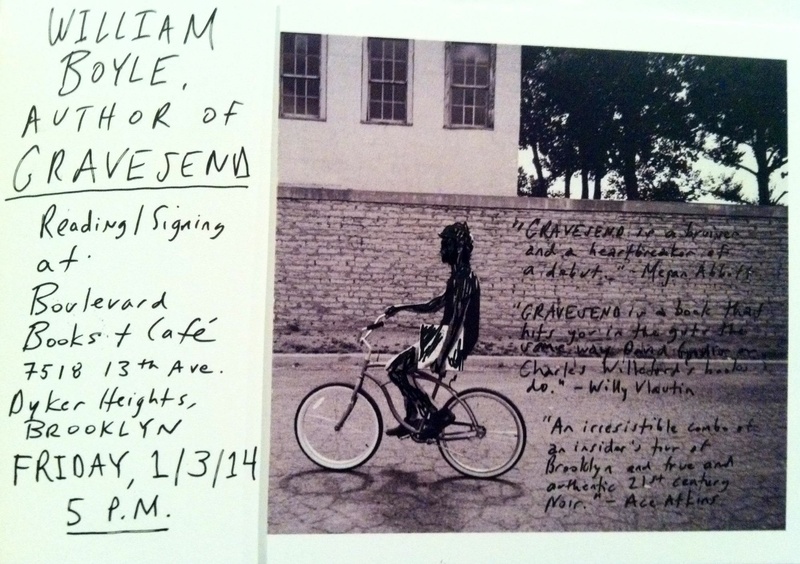 I’m reading in Brooklyn on Friday, January 3rd. 5 PM at Boulevard Books & Café in Dyker Heights. If you’re around, come on out. Here’s the Facebook page for the event. 2. Gravesend is now available on Kindle. 3. Orhan Pamuk wrote this great piece on C.P. Cavafy in The New York Times Sunday Book Review. Cavafy’s “The City,” included in full here, is one of my favorite poems – the last few lines serve as the epigraph to Gravesend. From C. P. Cavafy’s Collected Poems (Princeton University, 1992).